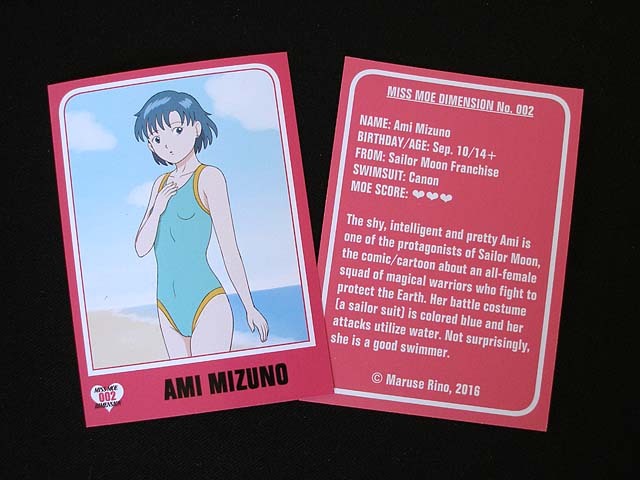 This time’s Miss Moe Dimension is someone who I’m sure many will recognise: Ami Mizuno, AKA Sailor Mercury, from the hugely popular Sailor Moon franchise, which is still going strong after over 25 years. The original animated version of Sailor Moon, given the English title of Pretty Soldier Sailor Moon, first aired in Japan back in 1992. This actually coincides with the time I got into anime in a big way for the first time, so I have a lot of good memories of this show, especially the very first arc. The heroine, Usagi Tsukino AKA Sailor Moon, was cute and funny, but for me the most interesting character by far was the lovely Ami Mizuno. A schoolmate but intially not a friend of Usagi, the intelligent but reserved Ami had a reputation of being a snob at school. However, her kind nature was soon revealed and she eventually joins Sailor Moon in her battle against Queen Beryl and the Dark Kingdom as Sailor Mercury, the water-wielding warrior clad in blue. As I mentioned above, I was really into anime when Sailor Moon was first aired, so I managed to collect quite a bit of Sailor Moon memorabilia; mainly trading cards and stickers. 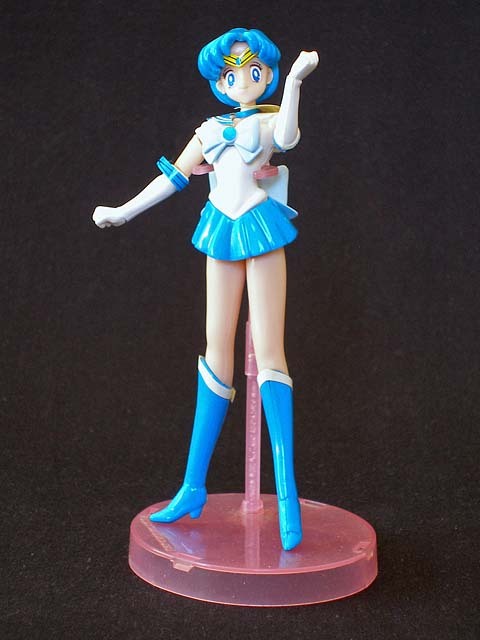 But I did manage to get hold of a nice figure of Sailor Mercury. You can see her below. This figure was part of the Bandai’s BEAUTY SELECTION SERIES and it was released in about 1994. This figure is basically a snap-together plastic model kit that only used three colours (four if you count the stand). The eyes are pre-painted, but all the other little details (such as the stripes on her costume) are stickers. As you can see, a few of the stickers have lost a bit of their tackiness, but considering this figure is about 20 years old, that’s hardly surprising. And in case you’re wondering, I also do have the S.H. Figuarts Sailor Mercury figure, which was first released in 2013, but I have yet to take her out of her box. One last thing I want to mention about adorable Ami: Ami Shinjo, my website’s mascot who’s birthday it was a few days ago, is named after her.😋 And I guess that’s it for this time.Till next time, au revoir, arrivederci and may the force be with you! This entry was posted in Figures, Miss Moe Dimension, Original Trading Cards and tagged Ami Mizuno, BEAUTY SELECTION SERIES, Sailor Mercury, Sailor Moon by maruserino. Bookmark the permalink.